Look at this amazing art piece, inspired from her research on Picasso. 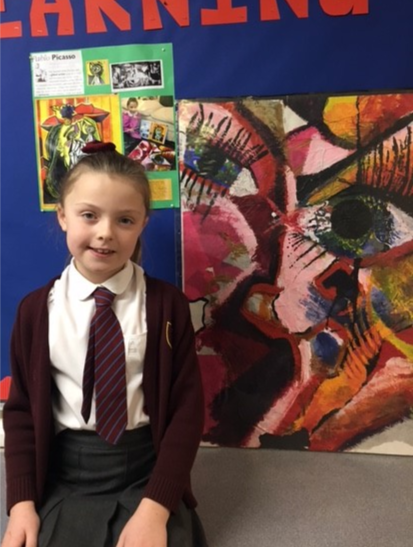 A year 3 pupils has brought her learning to life at home by creating a truly inspirational painting, all by herself. This excellent project included reading comprehension, problem solving, developing independence and perseverance as well as a range of art skills.